Our story begins in Toledo, Ohio in the 1940s. 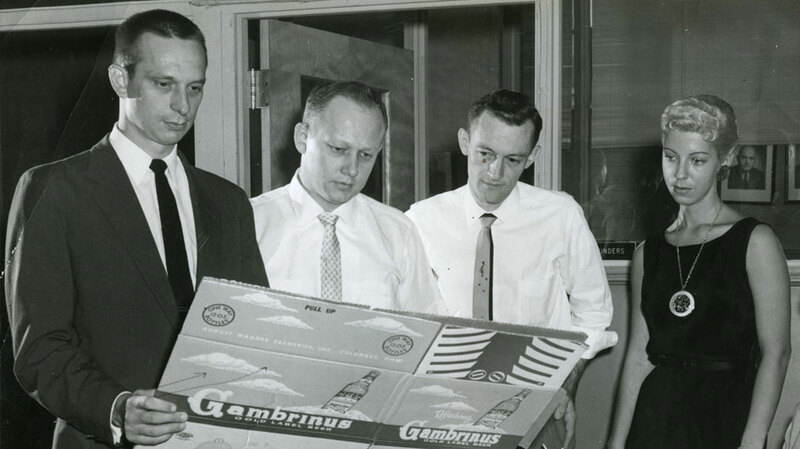 A young man named Phil Saunders, an engineering graduate of Purdue University, was working for the Owens-Illinois Company. O-I, as it was known, was at the time a large glass manufacturing company. They were vertically integrated and made their own corrugated boxes. They even made their own inks and printing plates for those boxes. Sometime in the 1950s, Phil was put in charge of the "Ink and Die Division" of O-I. Dies back then were printing plates. He ran this division for a number of years and learned the business. Then, in 1960, he made plans to begin his own company to manufacture rubber printing plates for the corrugated box industry. On Halloween day of 1960, Container Graphics Corporation opened for business with one employee in a small building last used to paint cars. Phil had invested all he had and borrowed all he could to buy the largest rubber vulcanizer in the country. The company soon expanded into flat cutting dies, and in 1965 produced its first rotary cutting dies. At the time, rotary die cutting was not very good at scrap removal. During the middle 1960s, Bill Ward, founder of the Ward Machinery Company, developed a machine that could accomplish product diecutting and waste removal all in one operation. This was an efficiency breakthrough. Phil was excited by the new rotary diecutter concept. After meeting with Bill, Phil decided to perfect rotary dies for the corrugated industry. He followed his products across the country to observe their performance. What he learned during that process led to improvements in die design. Through trial, error, and problem solving, Container Graphics developed the technology required to make a superior rotary cutting die. In the 1970s, the Ward rotary diecutter and those made by other manufacturers exploded in popularity. So did Phil's business. Cutting dies back then were pretty difficult to transport. The freight system was slow and expensive and the only way to effectively supply cutting dies was to be near your customers. So Phil expanded. Our first new location was in Chicago and our second was in Ontario, Canada. Then came locations in Texas and California and more. The little cutting die and printing plate business that started in 1960 has grown to sixteen locations across North America with agents in many parts of the world.